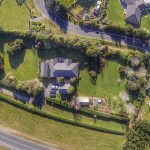 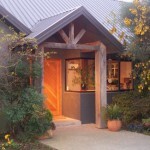 Established over two decades ago, the award-winning gardens of Garden View Bed & Breakfast, Rolleston are intensively landscaped to symbolically represent the distinctive braided rivers of our Canterbury region; rivers such as the Rakaia and Waimakariri. 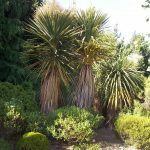 The gardens are dominated by a wide range of New Zealand native trees, shrubs and tussock grasses. 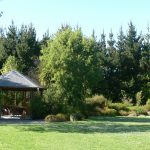 You can wander around the gardens or relax in our summer house surrounded by native trees and shrubs which attract native birds including fantails, silver-eyes, grey warblers and the occasional bellbird. 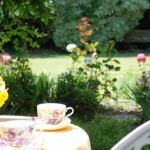 Our extensive rose gardens contrast markedly with the native gardens and ensure a season-long mosaic of colours and scents. 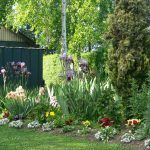 Integrated into the whole landscaping design are fruit, nut and berry trees, and a wide range of vegetables.